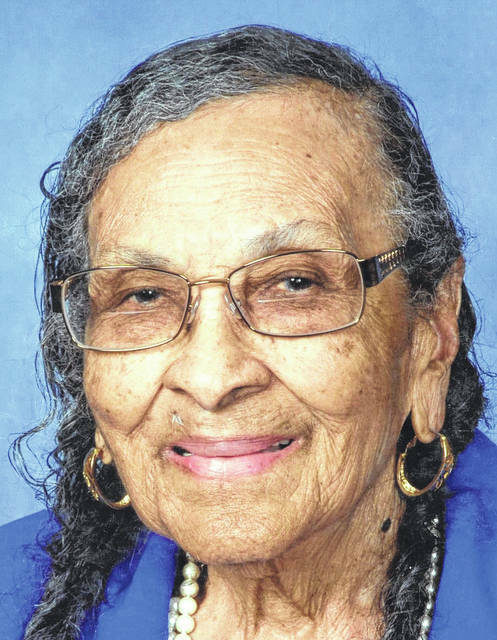 LIMA — Thelma Wilson is celebrating her 103rd birthday with an open house from 5 to 9 p.m. April 10 at Husky Lima Refinery, 1150 S. Metcalf St. A card shower would be appreciated at 1600 Patton Drive, Elida, OH 45805. She was born April 10, 1916, in Smith Station, Alabama, to Samuel and Ida Williams. She married Wade Wilson, who died in December 1973. She has two children, Barbara Banks and Gary Wilson, both of Lima. Two children, Myrtis Bratton and Samuel (Vonda) Ross, are deceased. She has 15 grandchildren, 22 great-grandchildren, 10 great-great-grandchildren and three great-great-great-grandchildren. She grew up in Phoenix City, Alabama. She is a homemaker. She was involved in Blue Star Mothers and Fourth Street Missionary Baptist Church mission and choir. She loves cooking, dancing and spending time with her friends and grands.